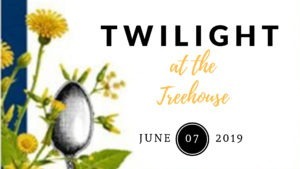 Twilight at the TreeHouse will be held on Friday, June 7, with a fundraising goal of $85,000 for the Foundation and the Patient Assistance fund. An event like this would not be possible without our amazing sponsors, volunteers, committee members, and supporters – if you would like to get involved – please contact the foundation office at 816-792-7014. Mission moment from the Medication Assistance Program, Professional Education, LiveWell Grants, and more! … and a beautiful evening shared with supporters, friends, and community leaders!